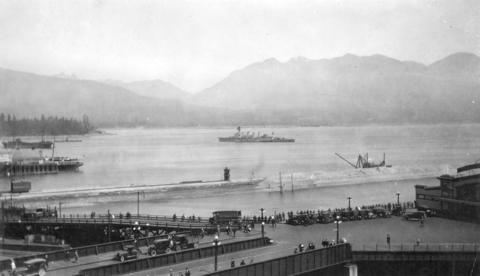 Source of title proper: Formerly misidentified and titled as "HMS Hood in Vancouver harbour"
Photograph shows a warship, likely the H.M.S. 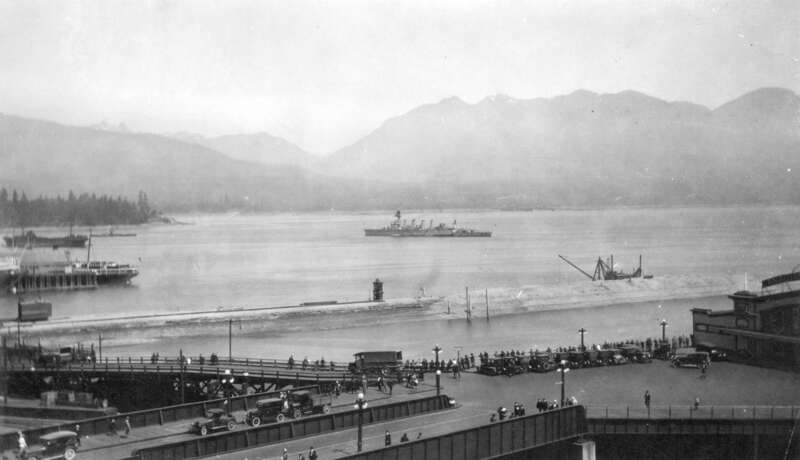 Adelaide, in Vancouver Harbour. Image includes the construction of Pier "B/C", the floating pile driver Tarzan, and automobiles.